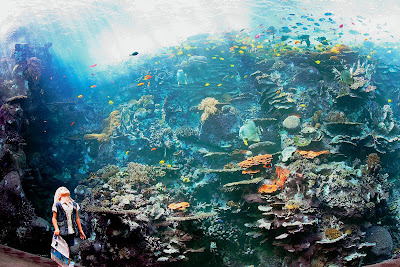 Fall is here, and, in my opinion, it is one of the best times to travel because you can find some great travel deals. Atlanta, Georgia, would be a great place to visit to enhance your children’s studies in the classroom for a mini-vacation. 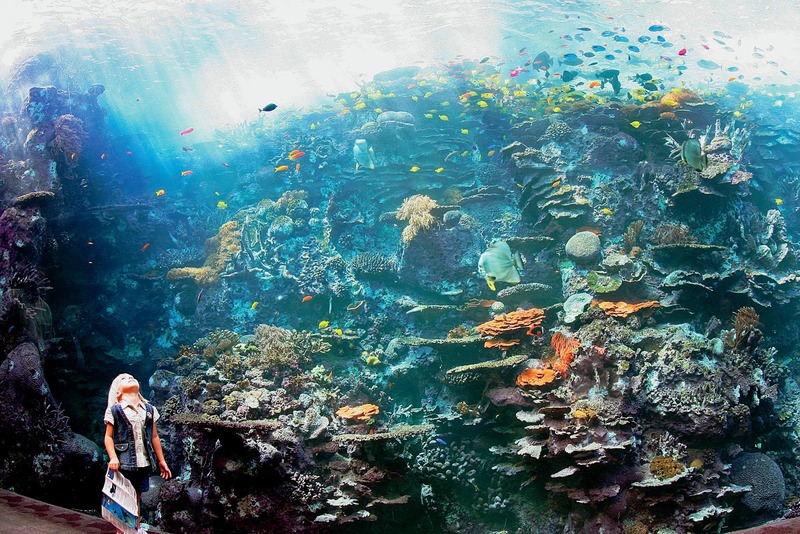 Here are five great family fun attractions that my family would love to experience. There are so many wonderful attractions in this southern city that it is difficult to name just five, but these attractions would be high on our sightseeing list. CNN Studio Tour: Mr. Cool would want to put this tour at the top of his list. His school does a daily newscast each morning, and, lately, the morning news is the first thing he talks about when I pick him up each afternoon. I know I am biased, but I worked in television for nine years, and it is exciting to see the gadgets, the cameras, and that green screen for the weather. Georgia Aquarium: My husband and I went here on my last trip to Atlanta. It’s a great experience, and since our visit the aquarium added the newest extravaganza called Dolphin Tales. This is a must-see attraction for the family. Imagine It! A Children’s Museum of Atlanta: I adore a children’s museum. My kids do, too, and the hands-on learning is priceless. Beginning Oct. 1 through Jan. 22, 2012, this museum will showcase “Once Upon a Fairy Tale: Exploring the World of Fairy Tales.” It looks to be Fee-Fi-Fo-Fun! Center for Puppetry Arts Theater and Museum: Mr. Cool will be taking a language arts elective this fall at school called “Puppet Play.” This museum looks awesome, and I bet the current exhibit on Jim Henson is fabulous. The museum has daily puppet shows, and the shows change every few weeks. You can even make your own puppet. World of Coca-Cola: I haven’t been here in almost two decades, but the history of the soft drink is fascinating. I look forward to seeing it again. The bottling process is so cool, and I love to see how the product is marketed around the world. The taste test is fun, too. We now have our list of fun things to do. Where will we tuck ourselves in at night? After talking with my readers on Facebook and Twitter about their travel budgets last week, I’m going to debut a new travel component on the blog where I recommend hotels at two different price points when I talk about hotels. After getting your feedback, the two categories will be called the smart splurge (over $200 per night) and savvy spending (under $200 per night, which is the preferred choice according to your responses, and many want spending closer to $100 per night). 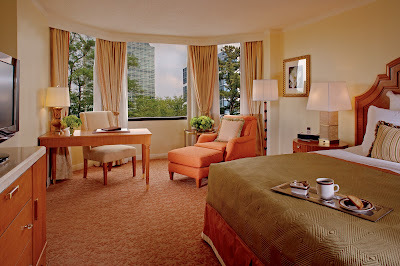 The Ritz-Carlton, Buckhead is my Smart Splurge choice. It’s no secret that I have a luxury hotel obsession. I tend to lean in the splurge area in my travels, but even with luxury hotels, I’m always searching for travel deals that give me the most bang in my travel budget for the experience I’m seeking. I also don’t travel that frequently, which is another reason I tend to go luxury when I travel. I’m calling this category the “Smart Splurge.” For both categories, you will get my opinion on why I think it’s the best bet, accommodations that will please the discriminating traveler, and hotels that I personally would choose to stay in at these two price points after combing over numerous reviews. (Yes, I do that for fun. Maybe I like research?) I will never recommend a hotel on this blog if I would not stay there. Got it? Good, let’s talk about where to stay. 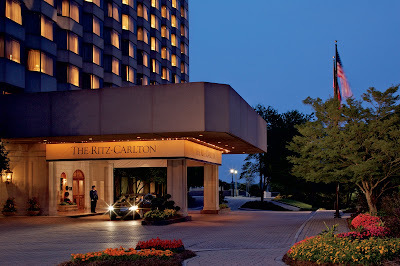 On my last visit to Atlanta, I stayed at the Ritz-Carlton, Atlanta. I would certainly do it again because it’s near a lot of the attractions I mentioned in this post, and the hotel offers great packages with breakfast and parking perks that could easily classify it into our savvy spending category requirements. However, I felt the downtown area got a little deserted at night the last time I was in Atlanta. Instead, I like the idea of an area with a neighborhood feel with shopping and restaurants nearby. As a result, the Ritz-Carlton in the Buckhead area caught my eye when I spied a wonderful family package that runs until the end of this year. 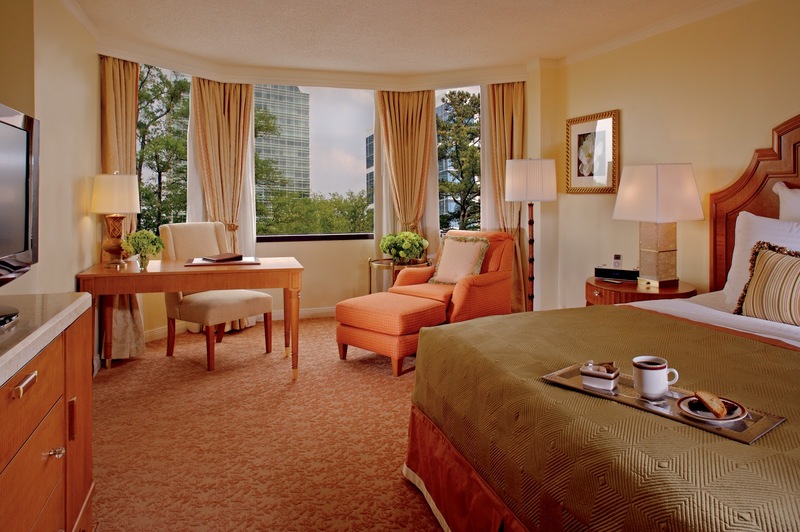 The location of the Ritz-Carlton, Buckhead, is a perfect choice, and this new family package will offer a very fun travel experience for the entire family in addition to the great linens, beautiful décor, afternoon tea, and scrumptious breakfasts. Those are the things I love in a hotel that I call home on my travels. This luxury hotel is offering a lot of packages currently and is even offering packages that include VIP tickets to the aquarium. So you have lots of options. However, I think the family getaway package is the best option and would be the smart splurge with rates starting at $279 because it includes so many goodies. 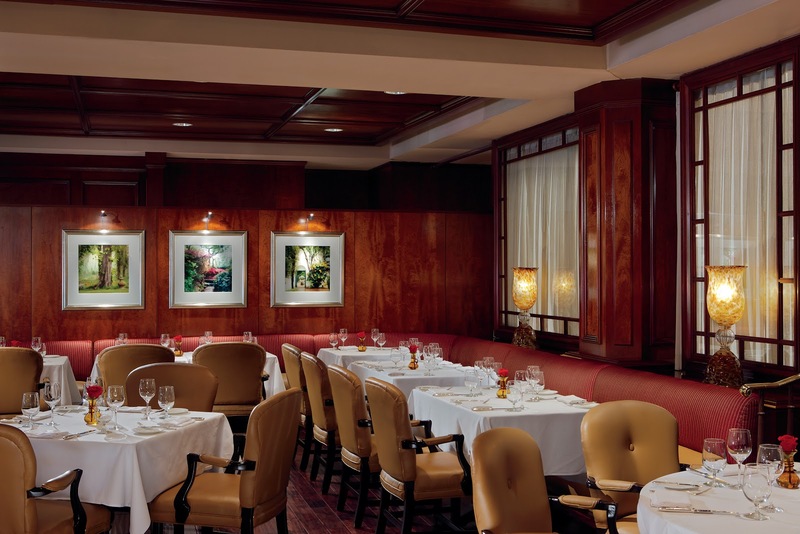 Family Package Rate at Ritz-Carlton Buckhead includes Breakfast. 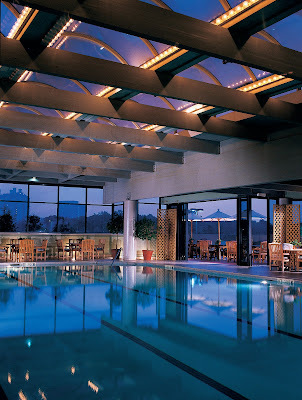 The family packages include either room service or American Breakfast for two adults and two children in the Café. If you have eaten at a luxury hotel, then you know this is a substantial savings to have breakfast as part of your room rate, not to mention that the food is wonderful. One of the best breakfasts I’ve ever eaten was on my last trip to Atlanta at the Ritz-Carlton Downtown. Typically, you eat so well that you can have a very light, inexpensive lunch while sightseeing. The family package also adds some pizzazz to your children’s stay and helps make some great memories. Your package rate includes a guestroom movie with popcorn, in addition to the dive-in movie that is shown at the hotel’s indoor pool on Friday evenings. Children can also participate in a self-guided scavenger hunt and enjoy complimentary ice cream in the Café or Lobby Lounge. The family package also includes valet parking. I’m not going to lie. I get tired of sightseeing and really like to lounge at the hotel when I’m on a vacation. I think that is why the hotel experience is so important to me. Hotel stays to me are rejuvenating. 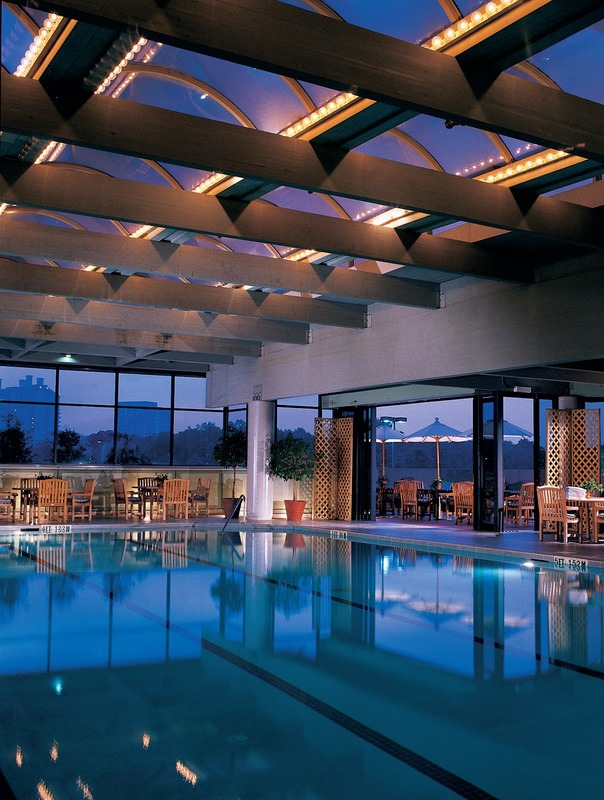 The Ritz-Carlton, Buckhead, also has afternoon tea and a world-class spa. For those readers who prefer to choose a hotel in my savvy spending category, I have another winner for you, which is also located in the Buckhead area. After reading numerous reviews, reviewing photos, and punching in several travel websites to compare prices, I’m recommending the Wingate by Wyndham Atlanta Buckhead. It’s an upscale boutique hotel that includes a complimentary full American breakfast. There is a hotel limousine to take you within three miles of the hotel. In my opinion, the rooms are appealing and inviting with two double beds, hardwood floors, and oriental rugs. Microwaves, refrigerators, and coffeemakers are equipped in each room. Depending on specials, the savvy spending rate is $119 to $140 per night for this type of room. I’m also going to add that the Wingate by Wyndham has outstanding reviews on Tripadvisor, and I am a firm believer in their reviews. Here’s a little secret. Shhhh!! 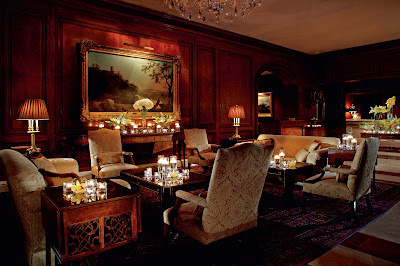 This hotel ranks above most high-end luxury hotels when it comes to reviews for Atlanta hotels on the review website. It’s currently holding the number 2 spot for one of the best hotels in Atlanta. Sounds like I may have found you a savvy gem. I think I’ve given you two great options for family fun in Atlanta. If you go, let me know. The Dish Ran Away with the Spoon?